Smart Live Gaming, the fastest growing licenced online casino in the United Kingdom, featured a visually orientated recreation of the Gambling Commission’s most recent betting statistics. This version comprehensively addresses the betting behaviour of UK citizens divided accordingly by gender and array of age groups. 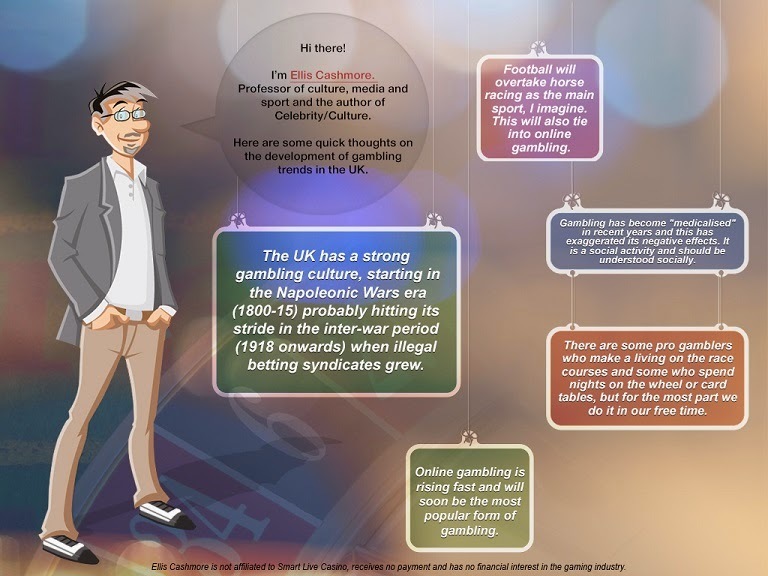 In order to achieve a more informative presentation, Smart Live Gaming spoke with Ellis Cashmore, a professor of culture, media and sport at Staffordshire University, for more detailed and exclusive insights into gambling trends within the United Kingdom. Smart Live Gaming cited noteworthy information and in-depth analysis of the UK Betting Behaviour of British adult gamblers. In addition, it revealed the contrasting interests that have significantly influenced multiple individuals within a particular age group and gender. The visual presentation made use of three significant areas that chiefly affect the betting behaviour of UK citizens to broadly specify the variation among the age groups: betting activities, machines/games used for gambling and lotteries/related products. “The UK has a strong gambling culture, starting in the Napoleonic Wars era (1800-15) probably hitting its stride in the inter-war period (1918 onwards) when illegal betting syndicates grew,” Prof. Ellis Cashmore said. According to the Gambling Behaviour in England and Scotland, an in-depth study of gambling and problem gambling levels conducted by the Gambling Commission, 65% of English and Scottish adults have done gambling in the past year. In addition, men are being more likely to be involved in gambling than women. The gambling behaviour of UK citizens has constantly varied by age. In the flashcard above (figure 1), the gambling participation rate is highest among the middle-aged gamblers in the UK, and lowest among the age group of the youngest and oldest gamblers. 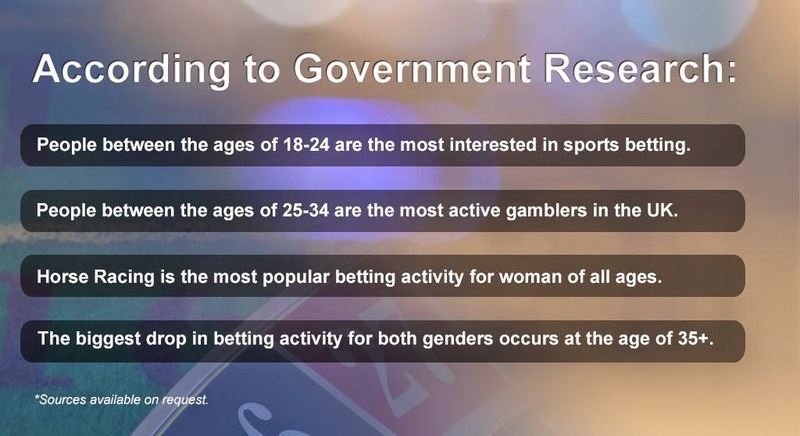 Moreover, while horse racing is the most prevalent betting activity for women of all ages, the purchase of National Lottery tickets ranked the most popular among all age groups and both genders. According to government statistics it could be argued that betting forms an intrical part of UK Culture since there’s such a large interest in the National Lotto, Horse Racing, Football and Slot Machines. However, Prof. Ellis Cashmore stated that gambling has become ‘medicalised’ over the years as it began exaggerating its negative effects in the society. “It is a social activity that should be understood socially,” he added.